Finding information and resources to help your child with special needs can be a challenge. As a parent, you are the most important person in your child’s life. You want to give your family the best care you can. There are early intervention services available as well as other kinds of support that can be of help. Finding information and resources to help your child with special needs can be a challenge. This site may give you a starting point for your search. There is support beyond your health care provider network. Talking with other families with similar life experiences can be a source for understanding and emotional support. Learn more about support for parents. You may have questions or concerns about your child's development. Early intervention offers families a way to connect with services and resources that can help. Learn more about early intervention. There are services and providers that can help coordinate your child's care and development. 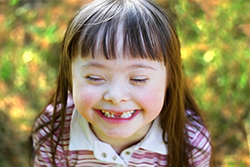 Learn more about special needs services for ages 3-18. It's never too early to start learning about activities and resources available to young adults with disabilities. Read more about opportunities and transitions. Help your doctor understand all aspects of your child's life. You should feel good about expressing concerns, asking questions and adding insight, and listening respectfully to what your provider says as well. Learn more about building a relationship with your child's doctor.